Long in the tooth, in more ways than one. 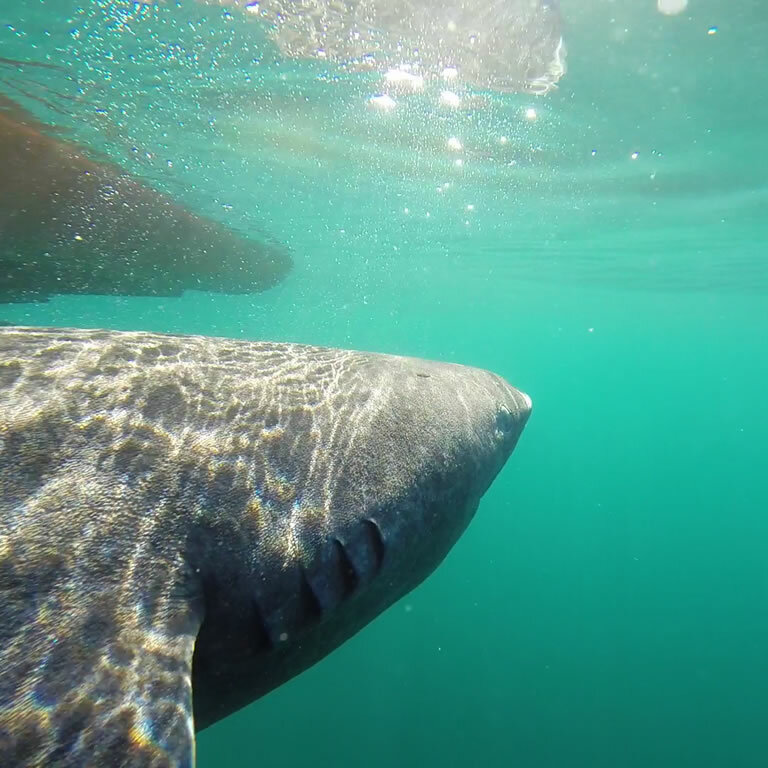 The world is learning more and more about the mysterious Greenland shark, thanks to Peter Bushnell, professor of physiology at IU South Bend, and his colleagues who have been part of a project studying Greenland sharks since 2011. Due to their habitat deep in the frigid waters of the Arctic and North Atlantic Oceans, the Greenland shark (Somniosus microcephalus) species is notoriously elusive to study and so their lifespan had previously only been tentatively estimated. They can grow to 21 feet and 2000 pounds, live an average of 272 years, and don't reach sexual maturity until approximately 150 years. Bushnell and team's paper "Eye lens radiocarbon reveals centuries of longevity in Greenland shark (Somniosus microcephalus)" provides in-depth evidence of the Greenland sharks' lifespan. They examined the cores of sharks' eye lenses to determine the age of the sharks based on the level of radiocarbon, which indicates the time frame they were born by comparing it to the radiocarbon in the ocean throughout history. The longevity study is just one of many since the start of the Greenland shark project in 2012. Other studies include satellite tracking to measure migratory behavior and conditions, such as where the sharks swim, how deep, and the water temperature, the metabolic rate, skeletal and heart muscle properties, and the blood oxygen-binding properties of Greenland sharks. "There are a variety of different avenues we are pursuing in an effort to elucidate their fundamental biology," explained Bushnell. The Greenland shark project was spearheaded by Bushnell and John Steffensen of the University of Copenhagen, with funding from various sources, including National Geographic, Save Our Seas Foundation, and the Danish Research Council. Their paper was not only published in Science, but was also named by Altmetric as one of the 100 most-discussed papers published in 2016. The team's work on the Greenland shark was also featured in Discover Magazine's top 100 stories of 2016 and was named one of the Guardian's "12 key science moments of 2016."